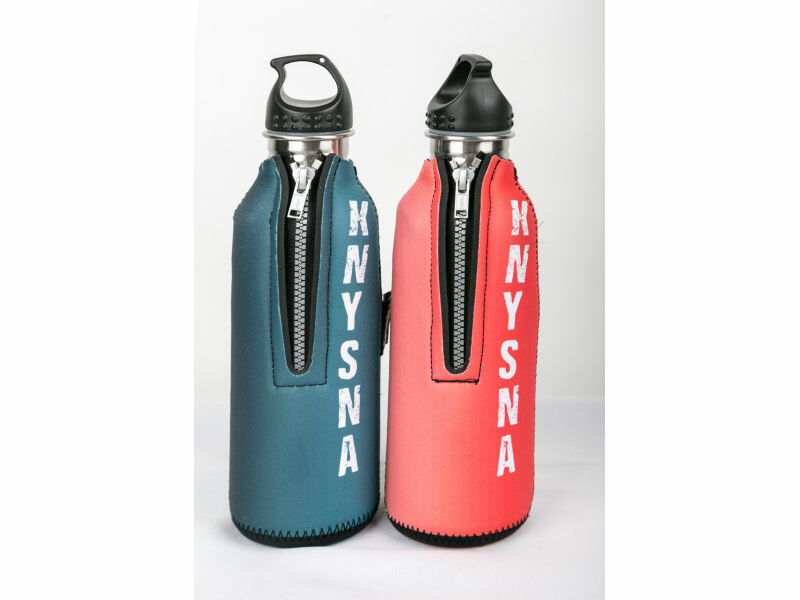 Neoprene cooler bottle with zipper. 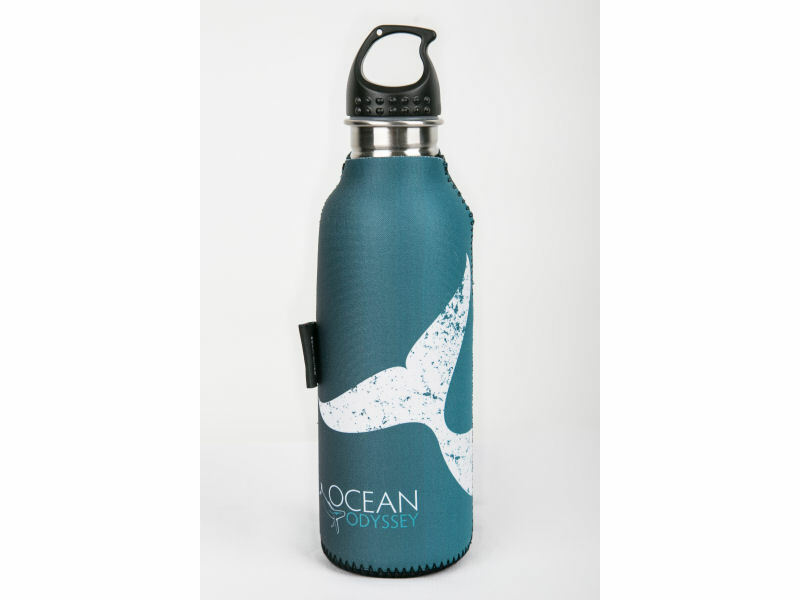 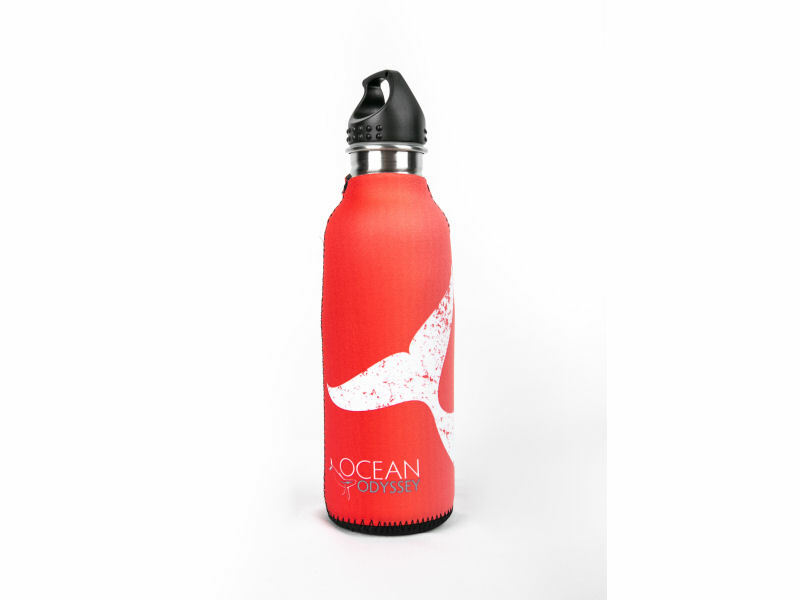 Stainless Steel 750ml bottle with a wide mouth screw top with drinking spout. 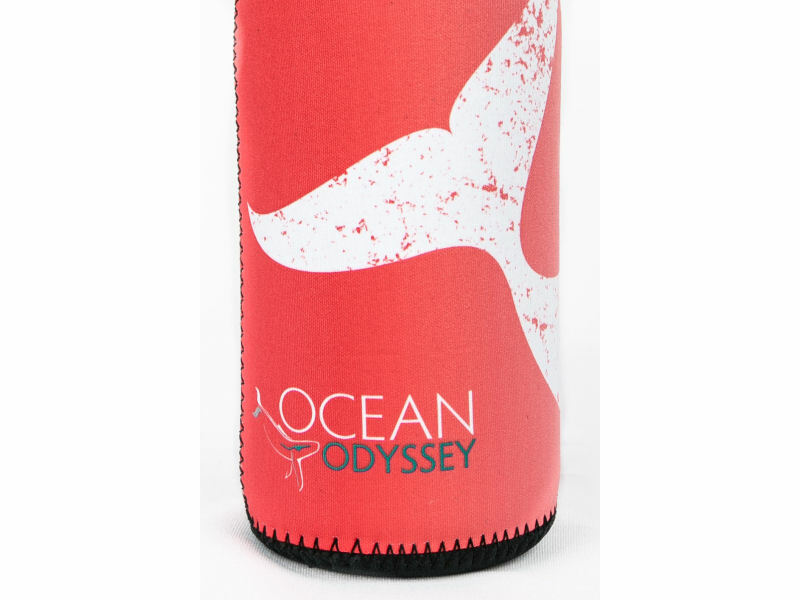 Ocean Odyssey branded with Whale Tail image and Knysna.